Jus 4 Paws aim is to help dogs and owners connect and understand each other, to live together and get the most from each other and enjoy one another’s company. Each dog's needs are different from another. Even if you have 5 of the same breed, they will all have their own unique personalities & little quirks. That’s why I tailor lessons to individual dogs, owners & their different needs. This is done through reward-based training using food, toys, clicker and praise. Fun & relaxed training for both dog and owner is a great way to connect with each other, whilst also learning about your dog. Rescues, aggressive and nervous dogs are all welcome, or just a bit of help with doggie manners, recalls and so on. 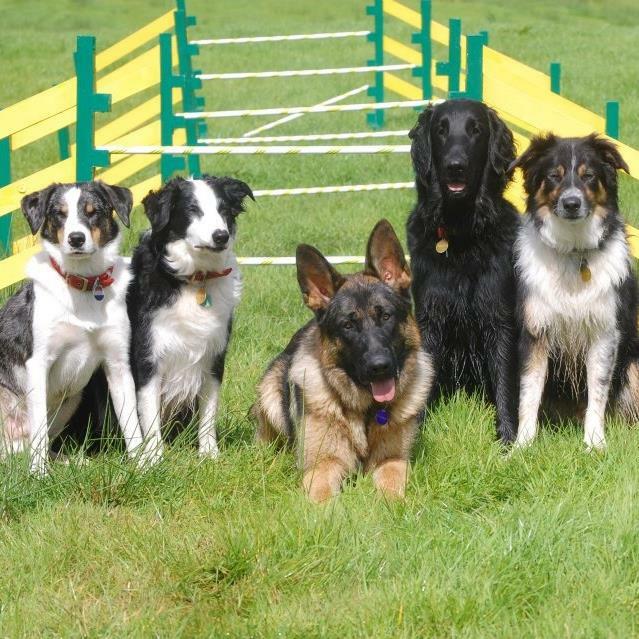 Fun agility and dog dancing sessions are also available. Both are great, mentally & physically stimulating ways to work with and get to know your dog. Any breed is welcome as there are no bad breeds. For dogs that struggle in a class environment and need 1 to 1, please get in touch & we can arrange training either at Clawddnewydd (indoors) or just outside Llanfihangel GM (outside). Home visits are also available by appointment. Training classes are at St. Johns Ambulance Hall, Prior Street Ruthin on 13th April & every Thursday after.